We are sorry to hear that you are considering leaving Flip. Please do let us know if there is anything we can do to change your mind. We recommend contacting our team to confirm if your services are currently under contract. If the contract term is not complete, you may face early exit charges. 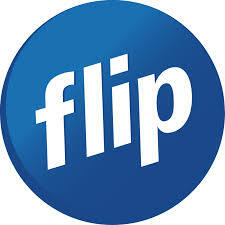 The early termination fee associated with all Flip contracts is $199. There is a standard 30-day notice period for cancellation requests. The notice period begins from the time you let us know that you wish to cancel. We recommend cancelling your account before your billing date, to avoid further monthly plan charges. You can cancel your account with Flip by sending our Customer Services team an email at support@flip.co.nz with your full name, date of birth, address and preferred date for cancellation. Our team will then process your request and confirm your cancellation. We are here to help out every day of the week, 10am to 7pm. Flip is not able to place services on hold or temporarily cancel your account. This is because your services will still be connected at the exchange leading to monthly service rental charges. The only method to cease billing is by cancelling your account. If you only require a temporary disconnection, there are crucial points to consider before proceeding with this request. Depending on your contract status there might be an early exit fee and reconnection fees for cancelling your broadband service and signing up again on a later date. The disconnection process may cause you to lose your homeline number. You will lose any carry over data and minutes that you have accumulated.